I've been trying to make butterscotch bars. I'm not a new baker, but I don't have much experience in melting brown sugar and butter together. The recipe (included at bottom of post) I'm using says that I need to melt butter and add brown sugar, and stir until sugar is melted. When I first tried it, everything went well. Butter and brown sugar were mixed as one and it kinda looked like toffee. On my next attempts, I couldn't get the same result anymore. When the brown sugar melts, it doesn't incorporate with the butter anymore and it turns really hard like candy. So, what I get is hardened (but still grainy) brown sugar in a pool of melted butter. Please give me some tips and techniques to properly melt butter and brown sugar together so that the result is like gooey toffee. I hope it can be done without candy thermometer. The author of the recipe didn't use one, and I think the quantity of the sugar-butter mixture is too little for me to dip a thermometer in it. In a small pot, melt the butter and butter compound over low heat. Add the sugar and stir until melted. Turn off the heat. Preheat the oven to 325°F and grease an 8" baking pan. In a large bowl, sift the flour with the baking powder. Add the salt. When the sugar mixture has cooled, add the egg. Mix well after addition. Add the flour mixture and mix until just incorporated. Add the vanilla and mix one last time. Pour the batter into the pan and bake for 25-30 minutes or until the cake is set. 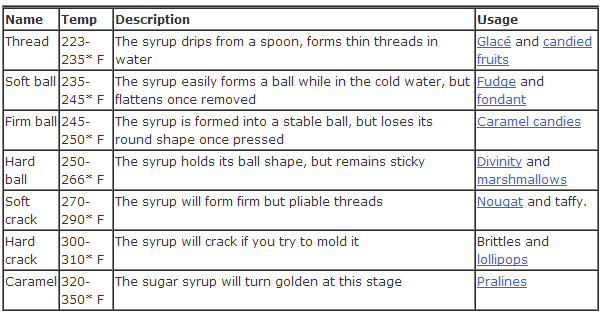 In the past I have had a similar issue with making a butterscotch drink recipe. What I have found is that adding a bit of water to the melted butter (1-2 tsp/1/2 c, 5-10mL/120mL) helps dissolve the brown sugar and prevents graininess and seizing. Sugar is not readily soluble in fat, so it needs water in order to dissolve. Different batches of butter may have different water contents. The brown sugar may have lost some of its moisture as it sat around in the pantry. Some of the water may have evaporated off while melting the butter. If you heat brown sugar in butter without enough water some will dissolve in the water present from the butter and the brown sugar, but it will become grainy and seize as the water is evaporated and the undissolved sugar granules act as nucleation sites. Meanwhile the undissolved sugars are being lightly fried in the fat from the butter. The peek temperature to which the sugar is heated determines what form that sugar based emulsion will take once cooled. If for instance, you used a different size of pan or higher heat (for approx. the same time) after your 'first attempt' you could easily achieve the effect you describe. For your Butterscotch Bars I'm guessing you want to reach, but not exceed, thread stage, as you are asked to mix an egg into the mixture and then add the remaining dry ingredients. This will become difficult after the thread stage. Whatever your desired outcome, if you are getting "toffee" like results you are probably reaching either the soft-crack or hard-crack stage. (overheating). I have had similar issue with a brown sugar / butter candy that I've been making since I was a kid. I'm coming to the conclusion that there is a difference in brands of brown sugar and the one I've used for years works and the one that is most commonly available where I now live makes up grainy. Maybe I'll try adding some water to see if that eliminates the problem. I really, really prefer the brand of sugar I've used for years. Is it possible that you've not used the same brand of sugar both times? My go-to brownie recipe is very similar to your butterscotch bars, just melt butter + sugar in the microwave until just melted. The texture will be a little grainy (or if you want to use the stovetop, use a double boiler or baine Marie). Wait till warm and when you add the egg, the mixture will become smooth. By the time when the flour is added everything will be alright! Not the answer you're looking for? Browse other questions tagged baking butter brown-sugar toffee melting or ask your own question. How to make caramel sauce for sundaes? Why is my toffee grainy in cracker-toffee “Crack”? Why is the butter gradually melting and only the top of my butter cake done? How can I reduce the sugar in this oatmeal bar recipe? Why are my cookies spreading too much? More flour?